Ariel Arce grew up in Hell’s Kitchen and as a young child was a professional actor and also trained at the highest level in the USA Gymnastics Junior Olympics Program. After college she went to Chicago and worked at The Office (part of Next restaurant) and Pop’s the oldest family operated Champagne bar in America honing her Champagne knowledge. 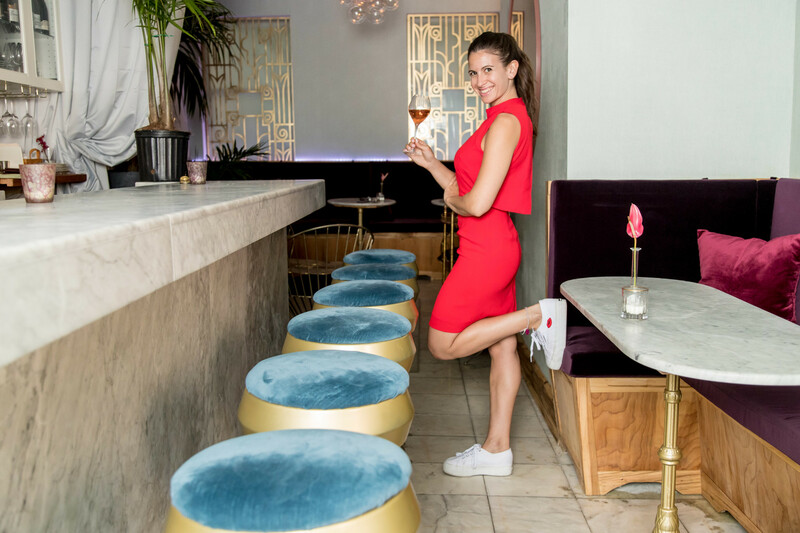 After opening Birds and Bubbles a fried chicken and Champagne establishment, she has branched out on her own to open Air’s Champagne Parlor, a living room style establishment dedicated to Champagne and sparkling wine and Tokyo Record Bar, a tribute to vinyl, sake and Japan. Both are located in Manhattan. On today’s episode we talk about growing up in NYC, learning about hospitality and drinks in Chicago and of course – we’ll be discussing champagne.